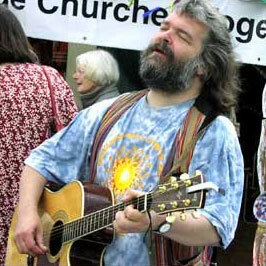 Malcolm Guite has established himself as one of the leading Christian poets of our time. This positions him to offer a distinctive reading of a poetic giant of the past, S. T. Coleridge. As expected, Mariner is exceptionally rich, penetrating and absorbing. I also plays in Cambridge rock band Mystery Train, you can access the band and the music by clicking on either of the CD covers in the side bar of any page.